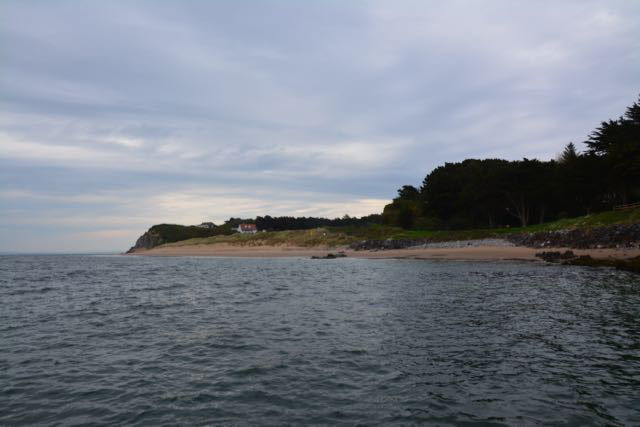 Caldey Island lies a half hour boat ride from the beautiful Pembrokeshire resort of Tenby. Tenby is bustling and vibrant. Caldey is a quiet and contemplative, and feels like a very different world. Bernie and I had visited Caldey many years ago. Back then there were some unanswered questions in my mind, following our short visit; so, this time, I wanted to take a better camera and record some of the things that had fascinated me. 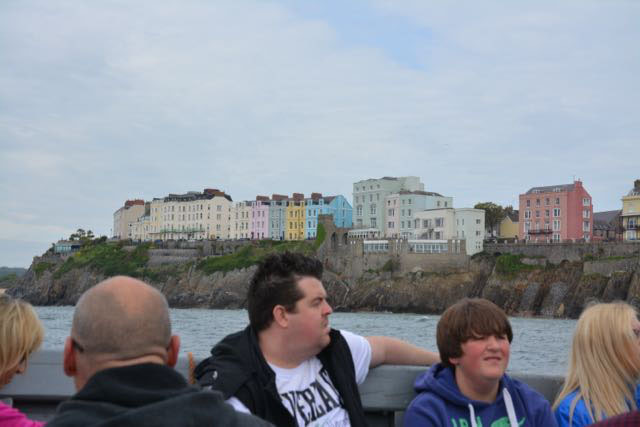 Once at sea, the splendour of Tenby’s Georgian skyline becomes apparent. 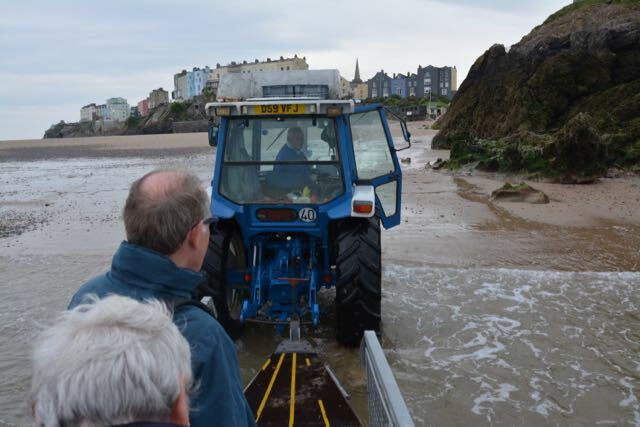 The short crossing ends with a view of a wonderful, golden beach to welcome visitors to Caldey. Disembarkation can be just as challenging, for, as we shall see later, both ends of the sea journey can involve some ‘roughing it’. 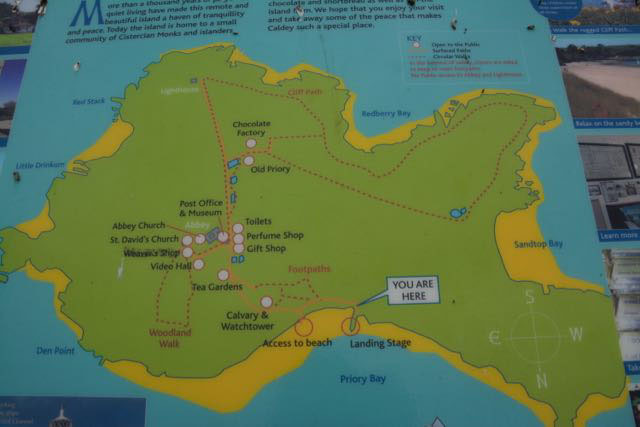 Once on Caldey Island, the routes available to the visitor are well signed. 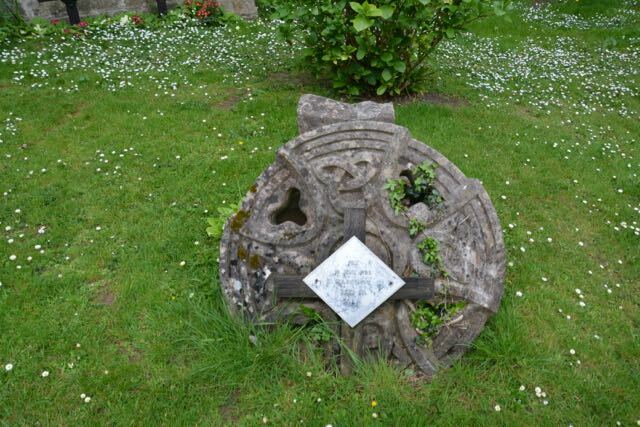 The majority of visitors are there to see the beautiful Cistercian Monastery, but there are other attractions, including the poignant Glade of Calvary. From the quay, a short walk of half a kilometre reveals the first view of the Cistercian building. 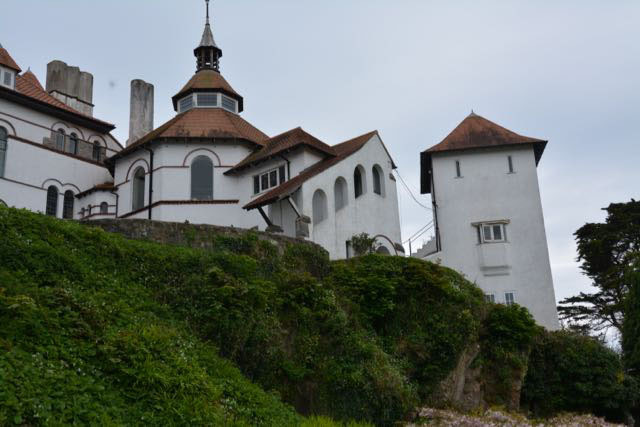 The complex of buildings was constructed in the decade from 1906 onwards by a group of pioneering Anglican Benedictines who bought the island island and, in a brave attempt to establish their dedication to the church, set about building the present structures. A bold Italianate style was used, topped by the imposing red towers, roofs and turrets. 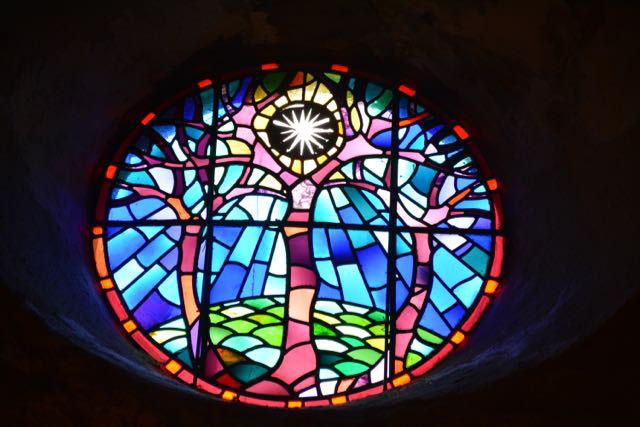 In recognition of their efforts, the bold Benedictines were received into the Catholic Church in 1913, but, tragically, increasing financial difficulties forced them to sell the entire island, including the Abbey, in 1925. The present Order of Cistercians, who live by a stricter and more contemplative variant of the Benedictine Rule, descend from a ‘rescuing’ group of monks from Scourmont Abbey, in Belgium. In 1929, they were sent to ‘seed’ the island as a ‘daughter house’; and to work for its full restoration, though from a slightly different tradition. 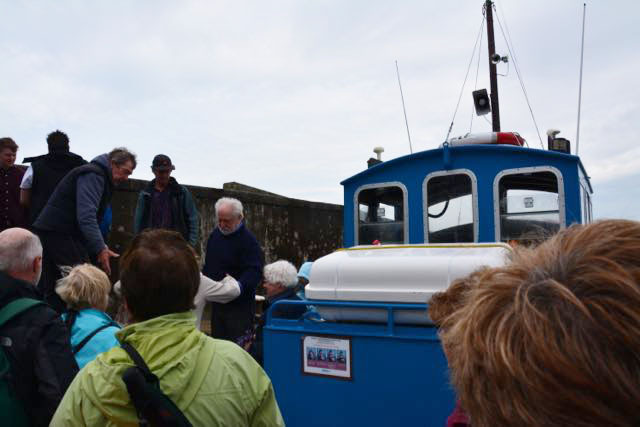 In a remarkable gesture, this group of Belgian monks honoured the original sacred tradition of Caldey Island, which was Celtic Christianity, by adopting St Samson, an early abbot of the original sixth century settlement, as their patron saint. 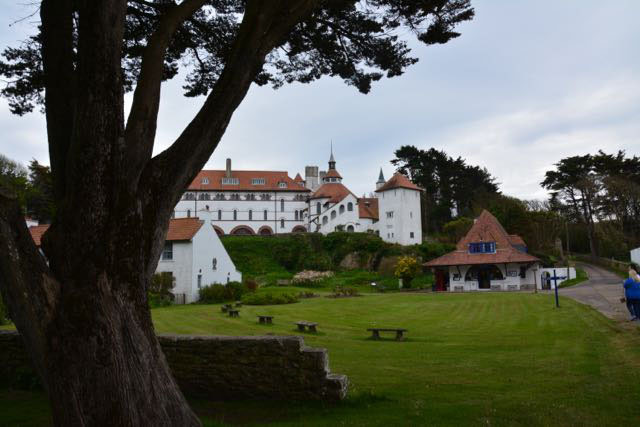 Looking forward to learning more about Caldey Island, which I’d never heard of before today. 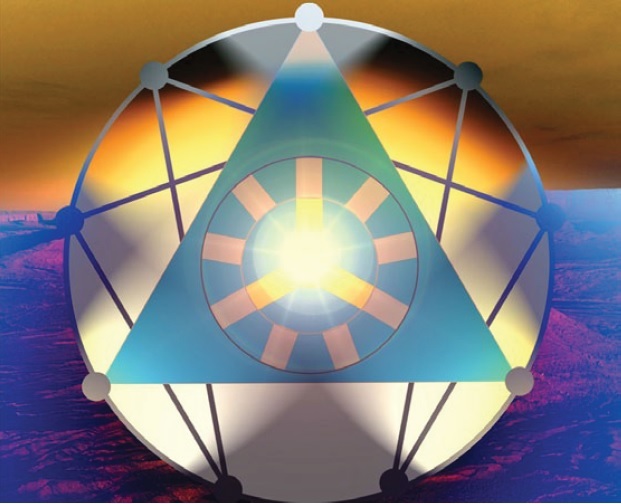 Great information and wonderful photos. I’ve never heard of Caldey Island before today. Tenby is a long run for most, but Pembrokeshire is a very beautiful part of Wales. Caldey Island is a real gem.